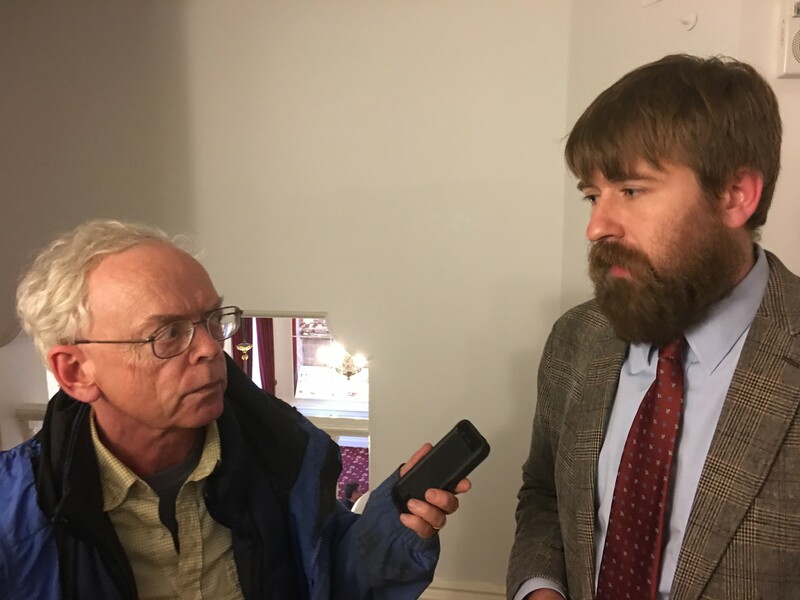 VTDigger's Mark Johnson interviews Paul Heintz of Seven Days and the Vermont Press Association after Wednesday's House vote on S.96. A bill that would protect reporters from being forced to divulge confidential sources and hand over unpublished work material is one step away from the governor’s desk. On Wednesday, the Vermont House approved S.96, the “shield bill,” on a lopsided voice vote after minimal debate. The chamber must reaffirm its approval in another vote Thursday, but barring a very unusual event, the bill is on track for final passage. S.96 had earlier passed the Senate on a unanimous vote. Gov. Phil Scott’s office did not immediately return a call for comment; but during the gubernatorial campaign, Scott expressed support for a shield law with some qualifications — including an exception for cases where information cannot be obtained elsewhere. That exception is included in S.96. Vermont is one of a handful of states without a shield law. The absence of such protection led to several journalists, including three from Seven Days, being subpoenaed in the sexual assault case against former state senator Norm McAllister. 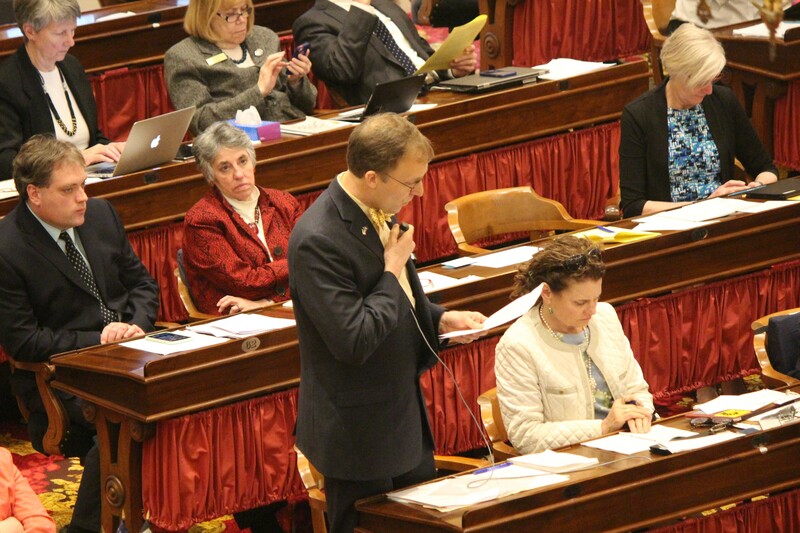 Rep. Martin LaLonde (D-South Burlington) discusses the shield bill Wednesday on the House floor. Passage of the shield bill would mark a significant victory for journalists who are making a rare foray into lobbying. There are other issues where state law affects journalism; is there any plan to take on a fresh issue next year? It’s a certainty that when the legislature reconvenes in 2018, journalists will once again descend on the Statehouse to cover the action. It remains to be seen if some journalists again show up in the role of advocate. The clear lesson from the shield bill debate: If they don’t speak up on issues affecting their profession, nobody else is likely to do it for them. Correction: An earlier version of this story misspelled Hilary Niles’ name.